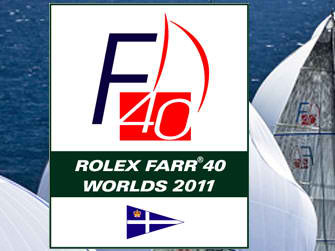 An international Farr 40 fleet is gathering in Australia to contest the 14th Rolex Farr 40 World Championship next month. 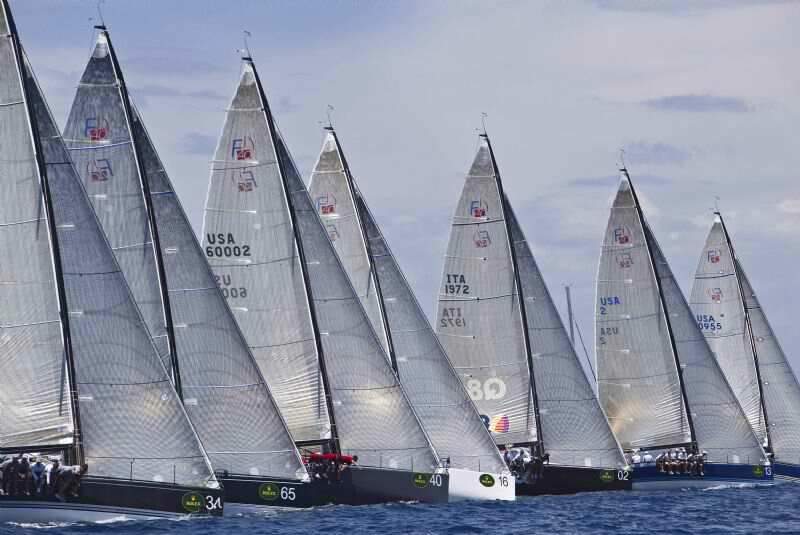 Twenty boats have entered to date, representing five countries, and include defending champions Massimo Mezzaroma’s Nerone, from Italy. 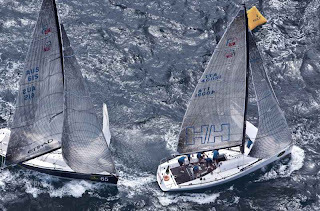 The event will be hosted by the Royal Sydney Yacht Squadron (RSYS) from 23 to 26 February. Principal Race Officer, Peter “Luigi” Reggio will lead the race committee assisted by members from the RSYS, with racing scheduled to take place on the waters outside of Sydney Heads. 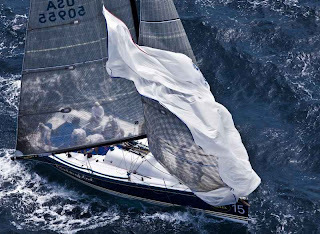 Immediately preceding the Worlds, the RSYS will host the Australian Championship from 18 – 20 February.Martin and Lisa Hill will be competing on their boat, Estate Master. “Teams have been taking on coaches and doing good old-fashioned training drills to sharpen up the skills required for sailing the highly competitive Farr 40, and cutting it in a fleet containing some of the best sailors in the world. One secret to the longevity and success of the Farr 40 Class is the strict the owner/driver requirement. Another key factor is the limitation on the number of professional sailors on board. Over the years the Farr 40 has attracted owners interested in pitting their helming skills directly against their peers, and in building a team that works at the highest level. BARKING MAD hoisting spinnaker, Photo by: Rolex / Daniel ForsterAdded to this dynamic package, the World Championship moves each year around the world to venues that not only offer challenging conditions, but appeal to the owners. 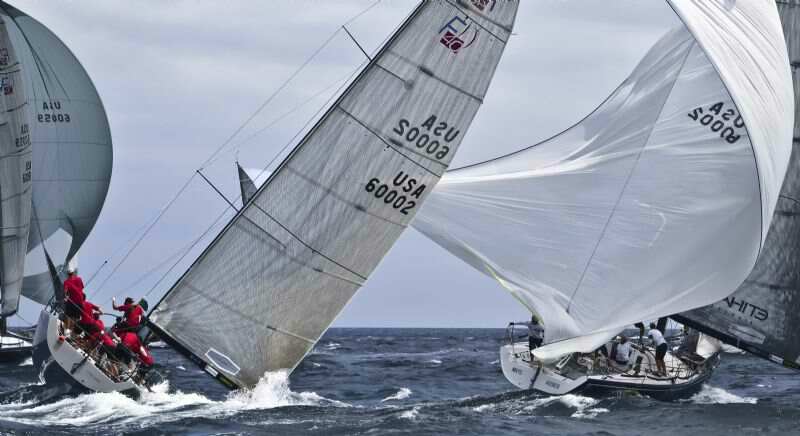 The last time the Rolex Farr 40 Worlds were held in Sydney, in 2005, local sailor Richard Perini, on Evolution, won a hard-fought championship decided on the final race of the series. The racing is expected to be no less tight this time around. Several past World Champions will be on hand to contest this year’s title including: Jim Richardson on three-time winner, Barking Mad (1998, 2004, 2009); Steve Phillips, Le Renard (2002), John Calvert-Jones, Southern Star (2000), and Nerone (2003, 2010). 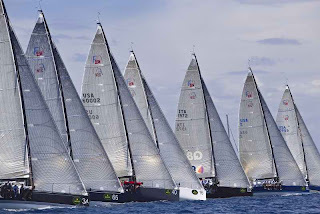 The 2010 Rolex Farr 40 defending World Champion, Nerone, won in the Dominican Republic despite helmsman Antonio Sodo Migliori’s absence. Sodo Migliori was involved in a helicopter crash last winter and suffered serious back injuries. He has since mostly recovered, and is back on the helm. 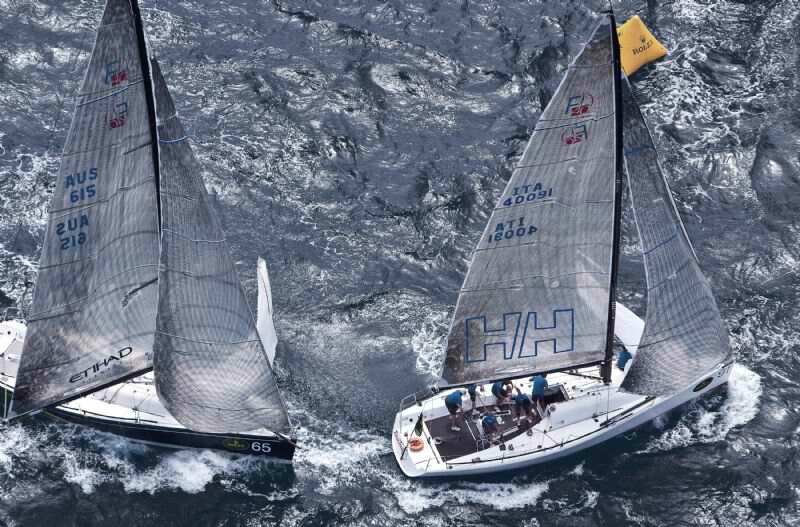 Thus far Sodo Migliori has competed in two events, the Farr 40 European Championship in October – which Nerone won. Nerone was then shipped to Sydney to compete in the Rolex Trophy One-Design Series in December. It seems that that too was a good idea, as the Italian boat made a strong showing, winning six of the eight races, and finishing 25 points ahead of the second placed boat: a clear marker for the home-grown entries that the international crews are not coming just to make up the numbers. For more information about the 2011 Rolex Farr 40 World Championship, including full entry list and media accreditation visit http://www.farr40worlds.com.